Shashwati Basak obtained her PhD from Indian Institute of Science, Bangalore, India. She carried out postdoctoral research from The Salk Institute for Biological Sciences, San Diego and Stanford School of Medicine, Palo Alto. Research in these two places was focused on understanding the role of tumor suppressor p53 in Cancer Signaling Pathways. She worked as a Research Scientist in the Veterans Affairs Medical Center, San Francisco, before moving into the current role as a Lead Investigator in Early Clinical and Translational Research, Biocon Bristol-Myers Squibb Research and Development Center, Bangalore. Current research interests involve assay development and qualification for Clinical Biomarkers and its use in clinical sample analysis during drug development. Biomarkers play a significant role during all phases of drug discovery and development. Clinical biomarker-based studies provide early information on target engagement, help guide rational selection of drug combinations, optimization of dose and schedule, serve as tools for stratifying patients and has the potential to predict clinical outcome. A “fit-for purpose” assay development and validation to meet the clinical requirements plays an important role in biomarker estimation. While a rigorous validation is usually not required for discovery-phase work, as a drug progresses into preclinical and early-phase clinical evaluation, more thorough method validation increasingly becomes valuable. The real-time quantitative polymerase chain reaction (qPCR) technology is accurate, sensitive and fast and has become the method of choice for clinical biomarker detection and quantification. Numerous quality issues may arise throughout the entire workflow influencing the accuracy of the qPCR results and the reliability of the data interpretation and conclusions. Development and use of qPCR technology for robust, accurate and reliable method is required for the emerging “fit-for-purpose” biomarker assay qualification. Key factors influencing assay performance such as sample matrix, sample preparation, experimental precision, reproducibility, sensitivity, specificity, dilution linearity and dynamic range and their impact on the assay outcome will be discussed. Based on these, we will put forth recommendations for consideration and optimization while qualifying a qPCR-assay for analysis of clinical samples. As biomarkers become integrated into drug development and clinical trials, assay qualification becomes important with an increasing emphasis on establishing standardized guidelines for analytical methods. Dr. Chang obtained B.S. degrees in biological sciences and chemistry from the University of Southern California, and a Ph.D. in chemistry from the University of Chicago. Subsequently, she conducted postdoctoral research at Columbia University as a National Institutes of Health postdoctoral fellow. She joined the faculty of the University of Notre Dame in 2003. Previously, Dr. Chang was Chief Operating Officer of University Research Network, Inc., Senior Scientist with Pharmacia Corporation, and Senior Chemist at Dow Chemical Company. She has characterized the ADME properties of numerous drugs, as well as prepared NDAs, INDs, Investigator’s Brochures, product development plans, and candidate drug evaluations. SB-3CT is a selective gelatinase (MMP-2 and MMP-9) inhibitor that shows efficacy in animal models of stroke, traumatic brain injury, and cancer metastasis. SB-3CT, however, is poorly water soluble and is extensively metabolized. We used a prodrug strategy to increase >5000-fold the aqueous solubility of SB-3CT. The prodrugs are hydrolyzed in human blood within 30 minutes, generating the active gelatinase inhibitors. One of the prodrugs (referred to as ND-478) has excellent pharmacokinetic properties. This class of compounds is rapidly absorbed andis readily distributed to the brain. Efficacy studies in animal models of stroke and traumatic brain injury are currently being conducted. Chronic wounds are a complication of diabetes and are characterized by inflammation, altered MMP expression, and deregulation of apoptosis. We used an affinity resin that binds only the active forms of MMPs and related ADAMs coupled with quantitative proteomics to identify active MMPs in diabetic wounds. Using the selective MMP-9 inhibitor ND-322 led to acceleration of wound healing accompanied by re-epithelialization. This represents the first pharmacological intervention in treatment of diabetic wounds. Studies to confirm the roles of these MMPs in diabetic wound healing are underway. Another project involves the design, syntheses, and evaluation of novel antibiotics to treat methicillin-resistant Staphylococcus aureus infections. We have identified two lead templates that show high in vitro activity and promising antibacterial activity in a mouse model of infection. Their pharmacokinetic properties are being optimized. Identification of the target is being pursued by photoaffinity labeling at the whole proteome level, as well as obtaining an X-ray crystal structure of the compounds with the putative target. Spink, E.; Ding, D.R. ; Peng, Z.H. ; Boudreau, M.A. ; Leemans, E.; Lastochkin, E.; Song, W.; Lichtenwalter, K.; O'Daniel, P.I. ; Testero, S.A.; Pi, H.L. ; Schroeder, V.A. ; Wolter, W.R.; Antunes, N.T. ; Suckow, M.A. ; Vakulento, S.; Chang, M.; Mobashery, S. "Structure-Activity Relationship for the Oxadiazole Class of Antibiotics." J. Med. Chem. 2015, 58 (3), 1380-1389. Bouley, R.; Kumarasiri, M.; Peng, Z.H. ; Otero, L.H. ; Song, W.; Suckow, M.A. ; Schroeder, V.A. ; Wolter, W.R.; Lastochkin, E.; Antunes, N.T. ; Pi, H.K. ; Vakulento, S.; Hermoso, J.A. ; Chang, M.; Mobashery, S. "Discovery of Antibiotic (E)-3-(3-Carboxyphenyl)-2-(4-cyanostyryl)quinazolin-4(3H)-one." J. Am. Chem. Soc. 2015, 137 (5), 1738-1741. Ding, D.R. ; Lichtenwalter, K.; Pi, H.L. ; Mobashery, S.; Chang, M. "Characterization of a selective inhibitor for matrix metalloproteinase-8 (MMP-8)." MedChemComm 2014, 5 (9), 1381-1383. O'Daniel, P.I. ; Peng, Z.H. ; Pi, H.L. ; Testero, S.A.; Ding, D.R. ; Spink, E.; Leemans, E.; Boudreau, M.A. ; Yamaguchi, T.; Schroeder, V.A. ; Wolter, W.R.; Llarrull, L.I. ; Song, W.; Lastochkin, E.; Kumarasiri, M.; Antunes, N.T. ; Espahbodi, M.; Lichtenwalter, K.; Suckow, M.A. ; Vakulenko, S.; Mobashery, S.; Chang, M. "Discovery of a New Class of Non-beta-lactam Inhibitors of Penicillin-Binding Proteins with Gram-Positive Antibacterial Activity." J. Am. Chem. Soc. 2014, 136 (9), 3664-3672. Gooyit, M.; Peng, Z.H. ; Wolter, W.R.; Pi, H.L. ; Ding, D.R. ; Hesek, D.; Lee, M.; Boggess, B.; Champion, M.M. ; Suckow, M.A. ; Mobashery, S.; Chang, M. "A Chemical Biological Strategy to Facilitate Diabetic Wound Healing." ACS Chem. Biol. 2014, 9 (1), 105-110. Gooyit, M.; Song, W.; Mahasenan, K.V. ; Lichtenwalter, K.; Suckow, M.A. ; Schroeder, V.A. ; Wolter, W.R.; Mobashery, S.; Chang, M. "O-Phenyl Carbamate and Phenyl Urea Thiiranes as Selective Matrix Metalloproteinase-2 Inhibitors that Cross the Blood Brain Barrier." J. Med. Chem. 2013, 56 (20), 8139-8150. Mayland Chang, PhD, is bringing scientific discoveries out of academia to the masses, from new antibiotics to the treatment of skull-crunching head injuries on the football field. Chang, a faculty member in the Department of Chemistry and Biochemistry, was recently awarded a five year, $5.5 million dollar grant from the National Institute of Allergy and Infectious Diseases (NIAID). She is also the recent recipient of an NFL Charities grant to design and develop therapeutics for the treatment of traumatic brain injury (TBI). The NIAID grant, a considerably large amount for research grants, will fund translational research aimed at the discovery and development of drugs to fight serious gram-positive bacterial infections such as methicillian resistant Staphylococcus aureus (MRSA). Translational research is described by Chang as “bench to bedside” research, which leads to practical applications in patients. Chang obtained B.S. degrees in biological sciences and chemistry from the University of Southern California, and a Ph.D. in chemistry from the University of Chicago. She joined Notre Dame in 2003. 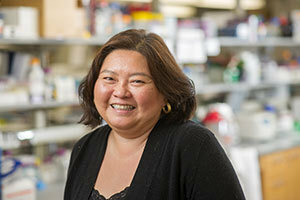 Chang recently spoke with ND Today about her research, teaching at Notre Dame, and her hobbies. ND Today: What does it mean to you to receive the NIAID grant? Mayland Chang: There is a dearth of research on new antibacterials, as the economic incentives are not there for pharmaceutical companies to pursue discovery and development of antibiotics. Because fewer pharmaceutical companies are focusing on antibacterials (most have abandoned the field), academic institutions have to step up to discover and develop new classes of antibiotics. This grant allows us to do just that. ND Today: Tell us about your NFL Charities Grant – what type of research will you be doing? MC: Traumatic brain injury (TBI) is one of the leading causes of death and disability in the industrialized world. A TBI is caused by a bump, blow, or jolt to the head or a penetrating head injury that disrupts the normal function of the brain. The majority of TBIs (75%) are concussions. Concussions are a prominent feature of sports, with 300,000 reported concussions in the U.S. occurring while playing sports. Concussions result from a blow to the head that produces a cascade of neurological events, resulting in reduced blood flow to the brain, brain cell injury, and death. A contributing factor to these pathological processes is the activation of enzymes called matrix metalloproteinases (MMPs), particularly gelatinases (MMP-2 and MMP-9). There are presently no therapeutics for TBI. Research in the field lacks presently the ability to rescue brain cells after each concussion or any damage to the brain. If a medication could be given after such a damage that rescues the brain cells destined to die that would move the field forward in treatment of TBI significantly. The NFL Charities grant will support groundbreaking research that has the potential for the development of such a treatment for TBI. We have developed a prototype inhibitor, which potently decreases brain damage and hemorrhagic injury. We have synthesized water-soluble inhibitors, which are amenable to intravenous administration, the preferred route of administration for TBI. These results hold outstanding promise for important applications in fighting gelatinase-mediated consequences of brain damage after TBI in patients.NFL funding will open the door for expansion of this project in directions that we hope will lead to treatments for TBI. ND Today: How did you come to specialize in chemistry? MC: I grew up in Ecuador and was good in math and science. As a high school student, I only knew of professional careers, such as medicine. I came to the US for college and as an undergraduate at USC I started as a biology major. There was no pre-med major at USC. After taking analytical chemistry as a junior in college, I decided to pursue chemistry. I ended up with a BS in biology and a BS in chemistry. Then I went to graduate school at the University of Chicago and got my PhD as a natural products chemist and post-doc at Columbia University in bioanalytical chemistry. When I was looking for a job, I could not find a position in the industry in natural products chemistry. I ended up doing metabolism of herbicides and insecticides at Dow Chemical. From there I moved to Upjohn. Before moving to Notre Dame, I was COO of University Research Network, Inc., an academic research organization that I established for Wayne State University School of Medicine that facilitated clinical research and provided clinical development services to the pharmaceutical and biotechnology industries. ND Today: What is the best part about working at Notre Dame? MC: The opportunity to work with and train talented undergraduate students. Since I came to Notre Dame, I have had nine undergraduates in the lab—four have graduated, one is in grad school at Madison Wisconsin, one is in an MD PhD program at Washington University, one is in an MD program at Loyola, and one is in an MD program at Rochester. ND Today: Given the very serious nature of your work, what do you like to do to unwind? MC: Gourmet cooking. Cooking is very much like chemistry. I wanted to be a chef but it was not an acceptable profession [in her home country]. Gardening—pulling weeds relieves stress, and travel—traveling is part of one’s education—it opens the mind to new experiences and cultures. I love to spend time with my cats Misty and Carbon, and watching birds in my backyard. Rain or shine, I feed the birds year-round. Diabetes affects more than 29 million Americans, or 9.3 percent of the population. One of the many complications of the disease is the inability of wounds to heal properly because diabetic patients often have nerve damage, weakened immune systems or narrow arteries. In 2010, 73,000 non-traumatic lower-limb amputations were performed in the United States due to diabetes. 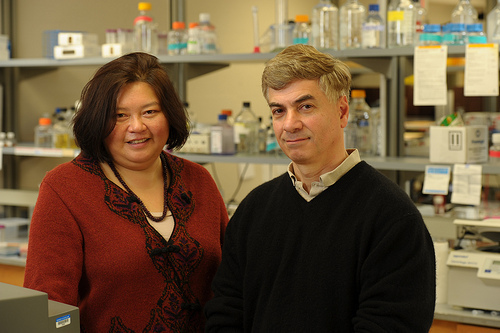 The American Diabetes Association (ADA) announced Tuesday that it is funding a $1.6 million Accelerator Award to Mayland Chang, research professor of chemistry and biochemistry at the University of Notre Dame, to help lower that number. The research award, part of the association’s Pathway Awards program, will provide funding for Chang’s project, “A Strategy to Accelerate Diabetic Wound Repair,” over five years. Chang’s research is broadly focused on exploring the molecular basis of disease and designing small molecules for therapeutic interventions. She has ongoing projects related to stroke, traumatic brain injury, cancer metastasis and MRSA (methicillin-resistant Staphylococcus aureus). 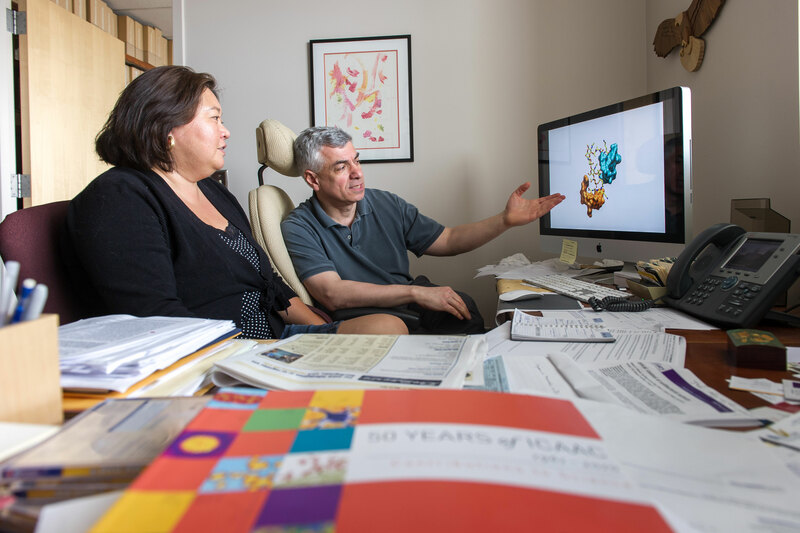 A newer area of work for Chang is to understand why diabetic wounds are so difficult to treat and to develop novel therapeutics to promote wound healing. Using a mouse model and a novel diagnostic resin that binds to active forms of matrix metalloproteinases (MMPs), proteases involved in tissue remodeling, Chang’s research group found that MMP-9 may cause diabetic wounds and MMP-8 may be involved in wound repair. They also demonstrated that selective pharmacological inhibition of MMP-8 delayed wound repair and inhibition of MMP-9 accelerated wound healing. Using a combination of research techniques, Chang’s project will identify the mechanisms associated with diabetic wound development, progression and healing; study bacterial colonization in diabetic wounds; and find interventions that expedite the healing process. To achieve these goals, she will validate the roles of MMP-8 and MMP-9 in diabetic wounds, investigate the relevance of these MMPs in human patients, evaluate novel MMP-9 inhibitors and determine the contribution of bacterial infection on wound repair. Accelerator Awards are designed to support early-career investigators or established researchers who are accomplished in other fields, but would like to apply their expertise to innovative diabetes-related research topics. 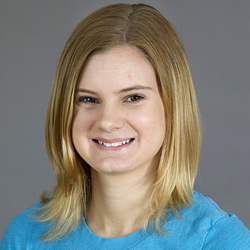 I am an interdisciplinary PhD candidate that headed an antibiotic discovery project resulting in a patent application and 1 first-author publication in Journal of the American Chemical Society. I have been trained in organic chemistry, microbiology, biochemistry, pharmacology, and x-ray crystallography and co-authored 4 publications including 1 publication in Nature Chemical Biology. Additionally, I have been awarded 2 individual fellowships during my graduate career from the American Chemical Society and National Institutes of Health. Synthesized 40 analogs and determined a structure-activity relationship. Met with individual students and small groups (up to 4) of students on a weekly basis to provide help with homework or material they found difficult to understand. Program at Notre Dame funded by the NIH to provide training to students at the interface of chemistry and the biological sciences. With vast industrial research experience, looking for research scientist position where innovative ideas can be transformed into realities with continuous process of learning and sharing new skills. • Synthesis of New Chemical entities particularly antibiotics, β-lactam inhibitor molecules based upon SAR. • Proposing and designing synthetic route for newer molecule and its synthesis with more than 90% HPLC. • One of the major work includes synthesis and method development of WCK 5178 one of the lead molecule. During the development of this molecules developed coupling of Na-DBO core with hydrazide in water, which is the key step in the synthesis. Synthesis of all known impurities of WCK 5178. • Identification of unknown and major impurity based upon NMR, formed during the synthesis of side chain of WCK 5178 at plant scale. • Proposed and attempted synthesis of side chain of another promising lead molecule WCK 5153. • Synthesis of drug intermediates. various reagents and conditions and selecting cost effective and patentable route. • Optimization of cost effective synthetic route, documenting results. • Worked on synthesis intermediate of an anti-HIV molecule Amprenavir and Atazanavir, intermediate for Moxifloxacin, Donepezil drug molecule. • Handling of small scale (0.1g-0.5g) to large scale (100g-500g) experiments. • 1,3-Dipolar reactions of nitrile oxide with alkene and alkynes, click chemistry of azides and alkynes. • The studies includes synthesis of few known and unknown 1,3-dipoles particularly nitrile oxides and azides. • Employed these dipoles and dipolarophiles in cycloaddition study and to establish regio- and stereochemistry of the newly formed cycloadducts by spectral and chemical correlation. • Applications of 1,3-dipolar cycloaddition reactions as a tool for the synthesis of bioconjugates particularly steroid and carbohydrate based conjugates.